Earlier this week, we announced the latest release of the TF-Slim library for TensorFlow, a lightweight package for defining, training and evaluating models, as well as checkpoints and model definitions for several competitive networks in the field of image classification. In order to spur even further progress in the field, today we are happy to announce the release of Inception-ResNet-v2, a convolutional neural network (CNN) that achieves a new state of the art in terms of accuracy on the ILSVRC image classification benchmark. Inception-ResNet-v2 is a variation of our earlier Inception V3 model which borrows some ideas from Microsoft's ResNet papers . The full details of the model are in our arXiv preprint Inception-v4, Inception-ResNet and the Impact of Residual Connections on Learning. 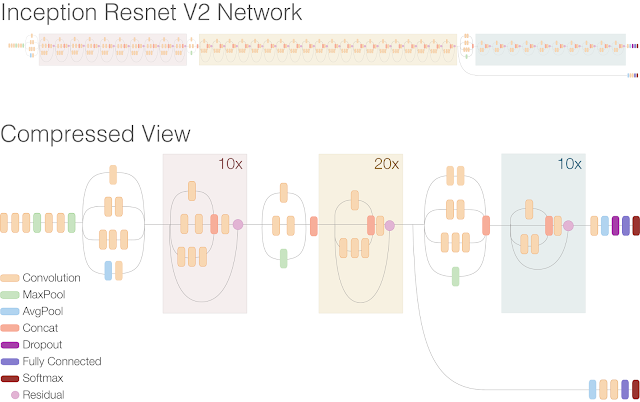 At the top of the second Inception-ResNet-v2 figure, you'll see the full network expanded. Notice that this network is considerably deeper than the previous Inception V3. Below in the main figure is an easier to read version of the same network where the repeated residual blocks have been compressed. Here, notice that the inception blocks have been simplified, containing fewer parallel towers than the previous Inception V3. The Inception-ResNet-v2 architecture is more accurate than previous state of the art models, as shown in the table below, which reports the Top-1 and Top-5 validation accuracies on the ILSVRC 2012 image classification benchmark based on a single crop of the image. Furthermore, this new model only requires roughly twice the memory and computation compared to Inception V3. (*): Results quoted in ResNet paper. As an example, while both Inception V3 and Inception-ResNet-v2 models excel at identifying individual dog breeds, the new model does noticeably better. For instance, whereas the old model mistakenly reported Alaskan Malamute for the picture on the right, the new Inception-ResNet-v2 model correctly identifies the dog breeds in both images. In order to allow people to immediately begin experimenting, we are also releasing a pre-trained instance of the new Inception-ResNet-v2, as part of the TF-Slim Image Model Library. We are excited to see what the community does with this improved model, following along as people adapt it and compare its performance on various tasks. Want to get started? See the accompanying instructions on how to train, evaluate or fine-tune a network. Earlier this year, we released a TensorFlow implementation of a state-of-the-art image classification model known as Inception-V3. This code allowed users to train the model on the ImageNet classification dataset via synchronized gradient descent, using either a single local machine or a cluster of machines. The Inception-V3 model was built on an experimental TensorFlow library called TF-Slim, a lightweight package for defining, training and evaluating models in TensorFlow. The TF-Slim library provides common abstractions which enable users to define models quickly and concisely, while keeping the model architecture transparent and its hyperparameters explicit. Since that release, TF-Slim has grown substantially, with many types of layers, loss functions, and evaluation metrics added, along with handy routines for training and evaluating models. These routines take care of all the details you need to worry about when working at scale, such as reading data in parallel, deploying models on multiple machines, and more. Additionally, we have created the TF-Slim Image Models library, which provides definitions and training scripts for many widely used image classification models, using standard datasets. TF-Slim and its components are already widely used within Google, and many of these improvements have already been integrated into tf.contrib.slim. Many new kinds of layers (such as Atrous Convolution and Deconvolution) enabling a much richer family of neural network architectures. Support for more loss functions and evaluation metrics (e.g., mAP, IoU). A deployment library to make it easier to perform synchronous or asynchronous training using multiple GPUs/CPUs, on the same machine or on multiple machines. Code to define and train many widely used image classification models (e.g., Inception, VGG, AlexNet, ResNet). Pre-trained model weights for the above image classification models. These models have been trained on the ImageNet classification dataset, but can be used for many other computer vision tasks. As a simple example, we provide code to fine-tune these classifiers to a new set of output labels. Tools to easily process standard image datasets, such as ImageNet, CIFAR10 and MNIST. Want to get started using TF-Slim? See the README for details. Interested in working with image classification models? See these instructions or this Jupyter notebook. TF-Slim: Sergio Guadarrama, Nathan Silberman. Just in time for ACL 2016, we are pleased to announce that Parsey McParseface, released in May as part of SyntaxNet and the basis for the Cloud Natural Language API, now has 40 cousins! Parsey’s Cousins is a collection of pretrained syntactic models for 40 languages, capable of analyzing the native language of more than half of the world’s population at often unprecedented accuracy. To better address the linguistic phenomena occurring in these languages we have endowed SyntaxNet with new abilities for Text Segmentation and Morphological Analysis. 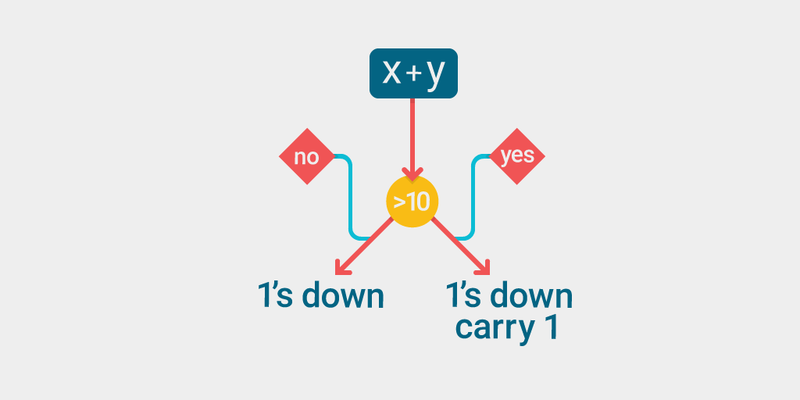 When we released Parsey, we were already planning to expand to more languages, and it soon became clear that this was both urgent and important, because researchers were having trouble creating top notch SyntaxNet models for other languages. The reason for that is a little bit subtle. SyntaxNet, like other TensorFlow models, has a lot of knobs to turn, which affect accuracy and speed. These knobs are called hyperparameters, and control things like the learning rate and its decay, momentum, and random initialization. Because neural networks are more sensitive to the choice of these hyperparameters than many other machine learning algorithms, picking the right hyperparameter setting is very important. Unfortunately there is no tested and proven way of doing this and picking good hyperparameters is mostly an empirical science -- we try a bunch of settings and see what works best. An additional challenge is that training these models can take a long time, several days on very fast hardware. Our solution is to train many models in parallel via MapReduce, and when one looks promising, train a bunch more models with similar settings to fine-tune the results. This can really add up -- on average, we train more than 70 models per language. 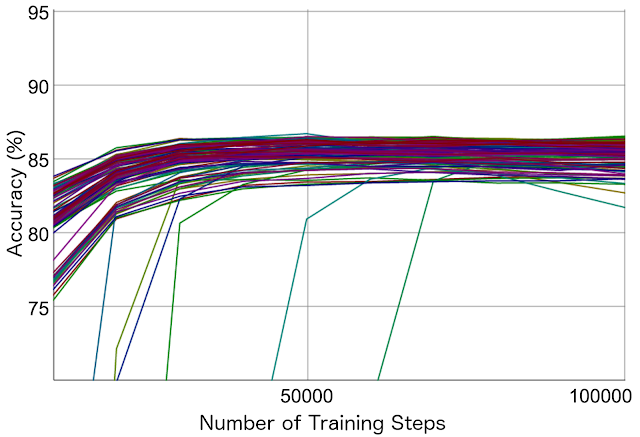 The plot below shows how the accuracy varies depending on the hyperparameters as training progresses. The best models are up to 4% absolute more accurate than ones trained without hyperparameter tuning. Held-out set accuracy for various English parsing models with different hyperparameters (each line corresponds to one training run with specific hyperparameters). In some cases training is a lot slower and in many cases a suboptimal choice of hyperparameters leads to significantly lower accuracy. We are releasing the best model that we were able to train for each language. In order to do a good job at analyzing the grammar of other languages, it was not sufficient to just fine-tune our English setup. We also had to expand the capabilities of SyntaxNet. The first extension is a model for text segmentation, which is the task of identifying word boundaries. In languages like English, this isn’t very hard -- you can mostly look for spaces and punctuation. In Chinese, however, this can be very challenging, because words are not separated by spaces. To correctly analyze dependencies between Chinese words, SyntaxNet needs to understand text segmentation -- and now it does. Analysis of a Chinese string into a parse tree showing dependency labels, word tokens, and parts of speech (read top to bottom for each word token). The second extension is a model for morphological analysis. Morphology is a language feature that is poorly represented in English. It describes inflection: i.e., how the grammatical function and meaning of the word changes as its spelling changes. In English, we add an -s to a word to indicate plurality. In Russian, a heavily inflected language, morphology can indicate number, gender, whether the word is the subject or object of a sentence, possessives, prepositional phrases, and more. To understand the syntax of a sentence in Russian, SyntaxNet needs to understand morphology -- and now it does. Parse trees showing dependency labels, parts of speech, and morphology. As you might have noticed, the parse trees for all of the sentences above look very similar. This is because we follow the content-head principle, under which dependencies are drawn between content words, with function words becoming leaves in the parse tree. This idea was developed by the Universal Dependencies project in order to increase parallelism between languages. Parsey’s Cousins are trained on treebanks provided by this project and are designed to be cross-linguistically consistent and thus easier to use in multi-lingual language understanding applications. Using the same set of labels across languages can help us understand how sentences in different languages, or variations in the same language, convey the same meaning. In all of the above examples, the root indicates the main verb of the sentence and there is a passive nominal subject (indicated by the arc labeled with ‘nsubjpass’) and a passive auxiliary (‘auxpass’). If you look closely, you will also notice some differences because the grammar of each language differs. For example, English uses the preposition ‘by,’ where Russian uses morphology to mark that the phrase ‘the publisher (издателем)’ is in instrumental case -- the meaning is the same, it is just expressed differently. Google has been involved in the Universal Dependencies project since its inception and we are very excited to be able to bring together our efforts on datasets and modeling. We hope that this release will facilitate research progress in building computer systems that can understand all of the world’s languages. Parsey's Cousins can be found on GitHub, along with Parsey McParseface and SyntaxNet. This week, Berlin hosts the 2016 Annual Meeting of the Association for Computational Linguistics (ACL 2016), the premier conference of the field of computational linguistics, covering a broad spectrum of diverse research areas that are concerned with computational approaches to natural language. As a leader in Natural Language Processing (NLP) and a Platinum Sponsor of the conference, Google will be on hand to showcase research interests that include syntax, semantics, discourse, conversation, multilingual modeling, sentiment analysis, question answering, summarization, and generally building better learners using labeled and unlabeled data, state-of-the-art modeling, and learning from indirect supervision. Our systems are used in numerous ways across Google, impacting user experience in search, mobile, apps, ads, translate and more. Our work spans the range of traditional NLP tasks, with general-purpose syntax and semantic algorithms underpinning more specialized systems. Our researchers are experts in natural language processing and machine learning, and combine methodological research with applied science, and our engineers are equally involved in long-term research efforts and driving immediate applications of our technology. If you’re attending ACL 2016, we hope that you’ll stop by the booth to check out some demos, meet our researchers and discuss projects and opportunities at Google that go into solving interesting problems for billions of people. Learn more about Google research being presented at ACL 2016 below (Googlers highlighted in blue), and visit the Natural Language Understanding Team page at g.co/NLUTeam.